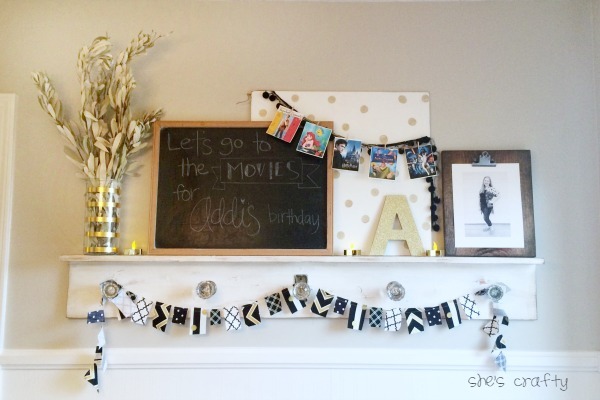 Looking for a great idea for a teen birthday party idea? 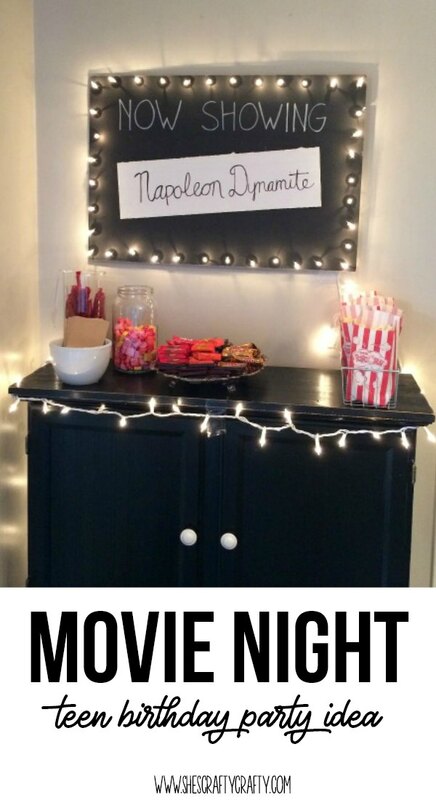 How about a Movie Themed Teen Birthday Party! 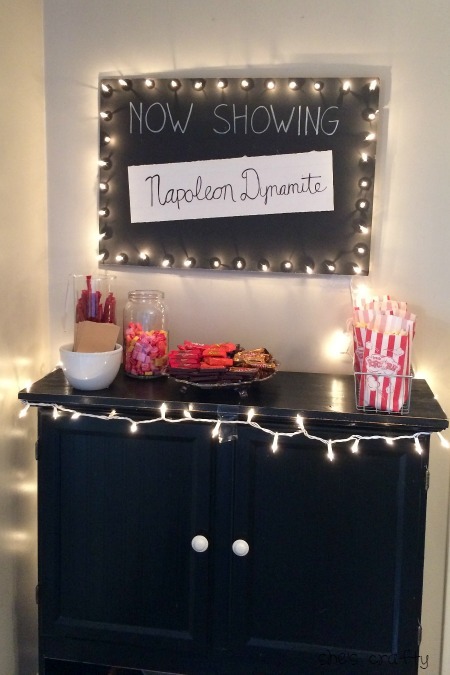 Throwing a movie themed birthday party is a party that is great for many ages and for boys or girls! 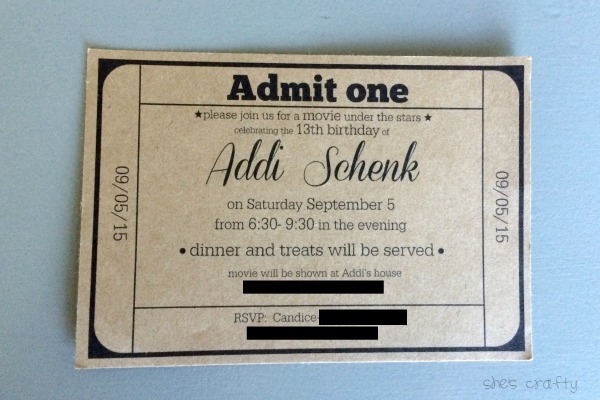 I made the invitation in Pic Monkey and printed it on kraft cardstock. I decorated our mantel to celebrate the birthday girl. In addition to the chalkboard art and clipboard photo of the birthday girl, I made a movie banner with some of her favorite movies. 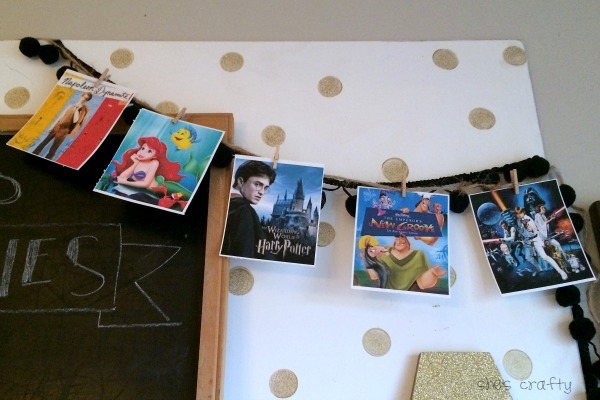 I printed movie posters onto cardstock and clipped them to twine with mini paper clips. 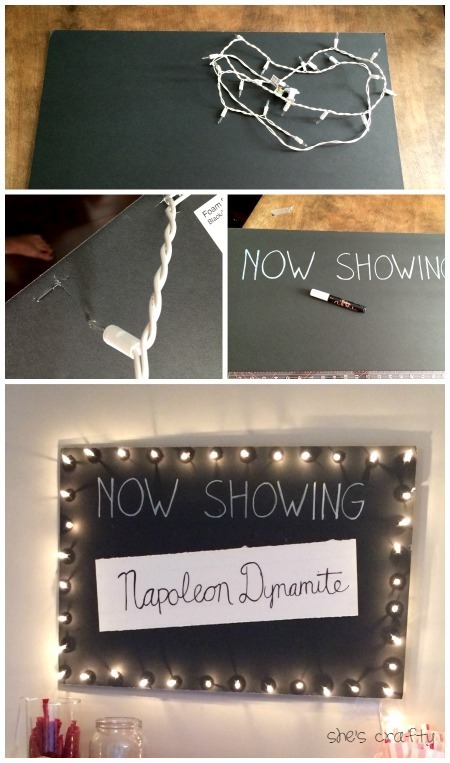 I made the movie poster with a black foam core, a chalk marker and white twinkle lights. We served pizza and apple slices. We also had a treat bar (using small kraft sacks) with popcorn (paper popcorn bags) and bottled water. 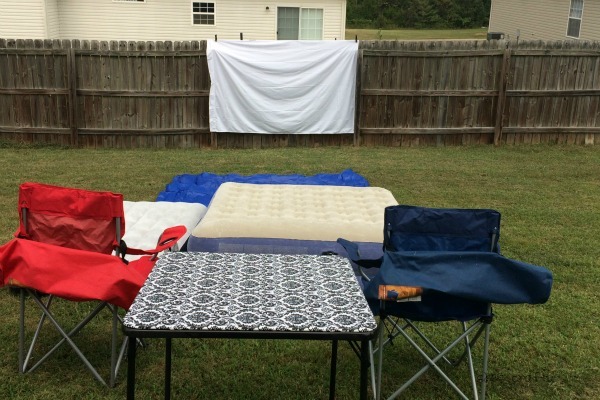 We wanted to show our movie outside so we used a white sheet hung on our fence. You could also get a movie screen here. We borrowed a projector, similar to this one. We blew up air mattresses and had plenty of blankets and camp chairs to sit on. We created a lounge on our deck with globe lights as a place for guests to eat. 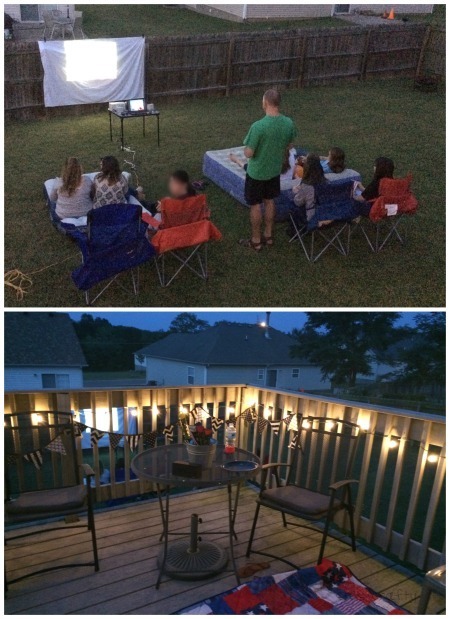 Showing an movie outdoors at our house was a really fun birthday party for our teen girl and all of her guests!